When “Terminator: Genisys” disappointed at the domestic box office, opening to a ho-hum $27M a few months ago and looking to finish its run in the low $90M range, there were reports that this was the end of the line for the franchise, and Paramount might have to abandon its plans for two more sequels. But first, the studio must wait until the dust settles overseas. At the time, “Terminator: Genisys” was doing respectable business there. With a budget of $155M, it had pulled in more than twice that worldwide ($320M), which was not bad. “Pacific Rim,” another expensive sci-fi actioner that underperformed domestically is going ahead with a sequel after it made twice its budget worldwide. It’s a borderline case. What Paramount was really waiting to see was how it would do in China, the world’s second largest film market. The studio got what it was waiting for: “Terminator: Genisys” opened on Sunday in China with an explosive single day gross of $27M, that’s what it did here in the States for its entire three day weekend. 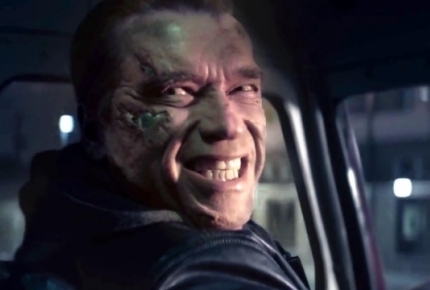 As of today, after three days in release, Arnold Schwarzenegger’s film has amassed a gaudy $46M. What’s even more impressive about this three day total is that two of those are weekdays. This pushes “Terminator: Genisys’s” worldwide total to $373M. Worldwide, it’s looking like “Terminator: Genisys” could at least become the second highest grossing film in the franchise; and depending on how it holds up in the coming weeks in China, it could even surpass the “Terminator 2: Judgement Day” at the top. When the week is over, we’ll likely see Paramount release a statement that they’re going ahead with their two planned sequels to “Terminator: Genisys” before the franchise’s rights go back to James Cameron in 2019.